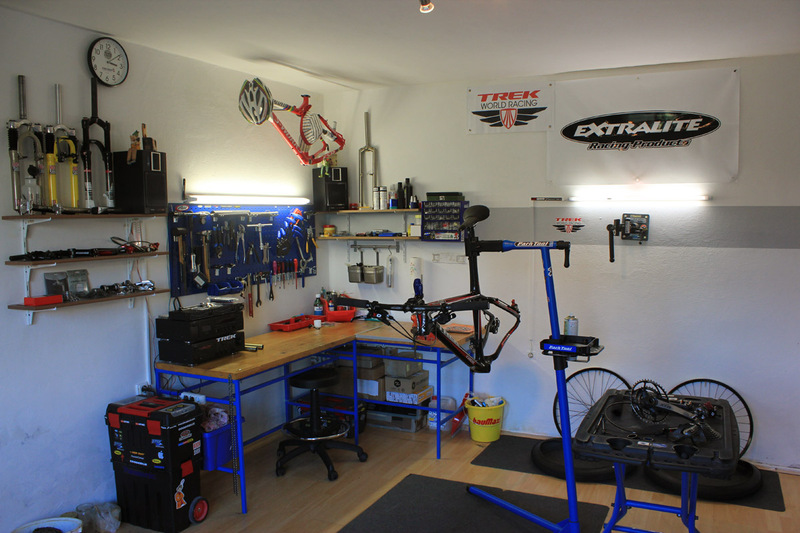 This is my home bike repair shop. 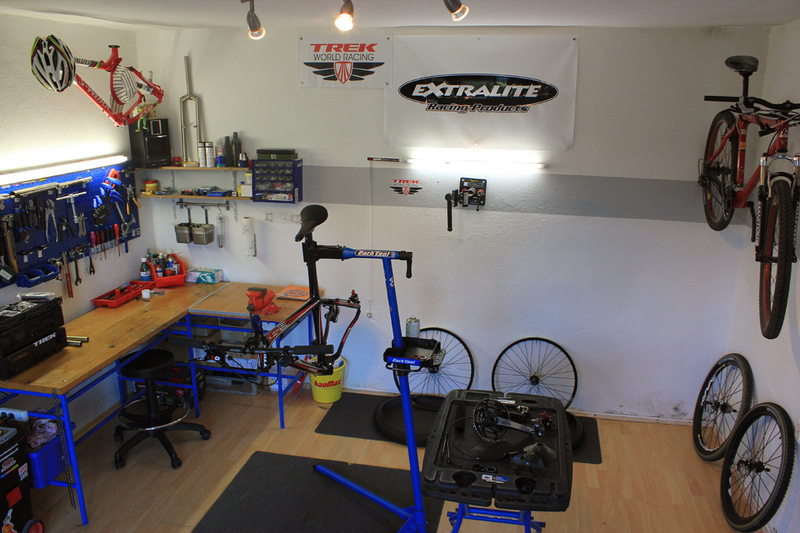 I spend here great time when I work on my bikes. I use a wall mount "right-hand" stand by PedalSport and one home mechanic repair stand by ParkTool. 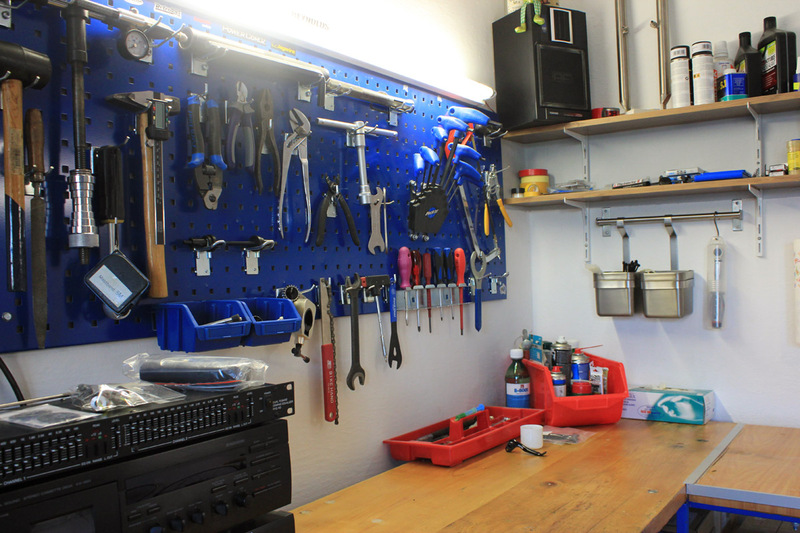 A fixed workbench from an old workshop was moved and re-used. In addition to fixed workbench I use a Park Tool portable workbench too. When moving out for bike race or a longer bike trip I handle my 2-box mobile repair case. It is big enough to put in all necessary tools. Nowadays I work with a mix of Park Tool workshop repair tools and Kovys products and tools. They are really the best workshop repair tools with the highest quality I`ve ever used. I prefer using professional bicycle oil and technical grease products, such as Yarroline and Finish Line, that should be easily bio-degradable and non-toxic.